You won't exactly be able to do much surfing in your dorm room, but there's nothing holding you back from having a surf-themed dorm decor layout for your dorm decorations. 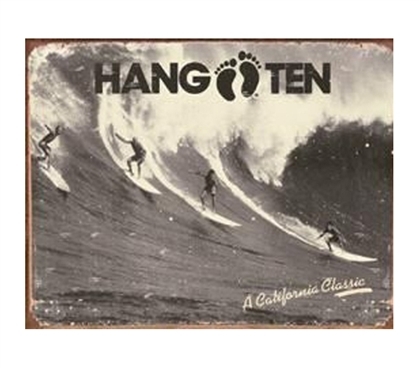 Tin signs for college like this Hang Ten Tin Sign will be great dorm wall decor items to add to your college decorations. After all, we've seen some innovative dorm furniture, but we have yet to see a college futon made from a surfboard. Instead, stick to dorm supplies like this tin sign for dorms. Even if you don't even surf, it'll still add a wave of cool to your college decor.